I would love to share with you a very personal story. 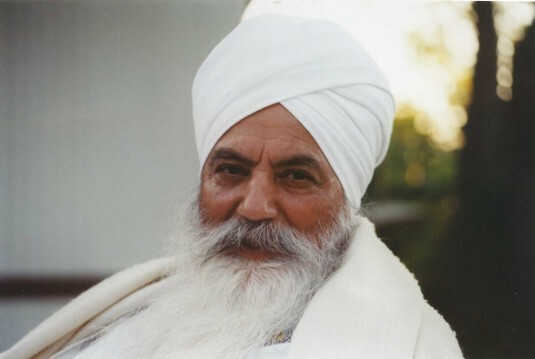 In 1996, I attended a class with Yogi Bhajan just before the New Year. At that class, he asked each of us to practice a New Year’s Kriya for 40 days and to keep a journal. I dutifully practiced the meditation and of course, like all meditations, it brought forward the bliss and also the garbage from my psyche. Also, I dutifully wrote in my journal every day. At the end of the forty days, I went to class with Yogi Bhajan and he asked who completed the meditation. I raised my hand. He then asked how many of us kept a journal and again I raised my hand. Then came the clincher. He asked those of us who kept the journal to send it to him unedited. Eek. Send my teacher my unedited journal with all the garbage in it. (Not that he didn’t know what was in my head without reading it). So, I sent it off to him with all my dirty laundry exposed. He then went on to tell me to do 31 minutes of Sodarshan Chakra Kriya. Wow, what a gift and now the work was to begin of surrendering to the Master’s words and wisdom and to drop the ego and fantasies. Many years passed and still I did not fulfill this request of my teacher. I had done almost everything else he had ever asked me to do. I knew that this one piece was and is essential to bring infinite joy and open up the Sadh Sangat, company of spirit, within. So, just before Solstice, I said yes to this divine practice of 31 minutes of Sodarshan Chakra Kriya. What a great gift it continues to be—a meditation that rebuilds personal identity, clears past karma and creates a platform of inner happiness and ecstasy. To embrace the Kundalini which brings vitality, intuition and clears the subconscious mind is the bounty of this meditation. I am on board and it is a great ride. I hope some of you will join me as we move into the Aquarian Age. Our time is now as teachers, leaders, healers and conscious beings. With blessings and prayers for your victory.